Jamey’s fiction has appeared in Black Warrior Review, Spark + Echo, and Zone 3. 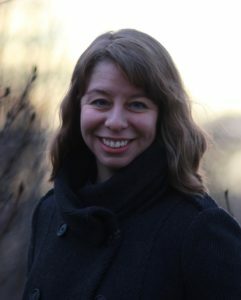 She also has written for 49 Degrees North, Alaska Home Magazine, and The Billfold.com, and is an associate editor for Alaska Quarterly Review. A Midwesterner by birth, Jamey grew up in Illinois and earned her MFA from the University of North Carolina Greensboro. She served in AmeriCorps and in the Peace Corps, and now lives in Anchorage. Learn more at www.jameybradbury.com.